1. My bedtime routine includes, taking the dog outside, watering my plants, finding comfy pj's, grabbing a drink and locating the remote before I climb in bed. 2. I am super tired lately. I've been getting a good amount of sleep but I still yawn all day long! 3. I can't stand enchiladas because the corn tortillas are grainy . 4. My idea of relaxation would be some Red Mango frozen yogurt, a good book and a comfy lawn chair at the beach. 5. If I had an extra $50, I would buy some new dresses. Since I've lost so much weight, I need to find some clothes that fit better. 6. The best thing about a bloggy friend is that they are honest and friendly. It's so easy to 'make friends' through your blog that you find yourself wondering "What will they write about today?" 7. A recipe I've been dying to try is Oh geez, there are so many! I picked up some great cookbooks in New Orleans - one for The Court Of Two Sisters and one from Oak Alley Plantation - both of which are bursting with recipes that I can't wait to try! 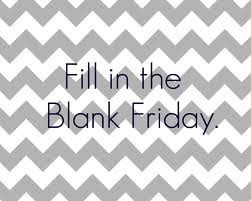 Labels: fill in the blank friday, misc.